When it was launched in 2003, ‘School Chale Hum’, the theme song of Sarva Shiksha Abhiyan (SSA) — country’s flagship programme for elementary education — became an anthem for children. The song that people watched on television, mostly on Doordarshan, played a significant role in boosting enrolment in schools across the country, according to the ministry of human resource development. 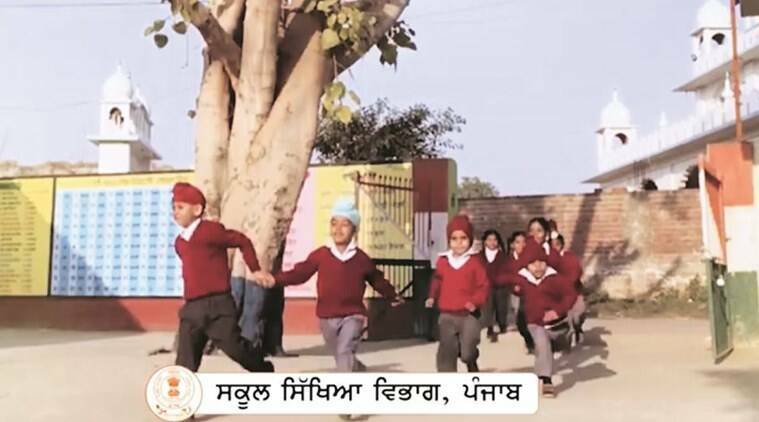 On similar lines, the Punjab education department, in a major PR and image-building and makeover exercise for its government schools, has come up with a video theme song in Punjabi, for the state’s learning enhancement programme — Padho Punjab, Padhao Punjab — with a tagline ‘Jey padhaange, taan vadhaange’ (only education makes you grow). The project was mentioned in the Congress manifesto and was started soon after the party came to power in 2017. The department of information and public relations (DIPR) hired Reliant Advertisers, a private advertising agency, to produce the video that was shot in several government schools across Punjab. The four-minute song was sung by Manpreet Singh, a Punjabi singer from Longowal, written by Harman Jeet Singh, a government school teacher from Mansa, and directed by Harp Farmer, an ace Punjabi director and actor. A 30-second teaser of the project was released recently on social media by the department of education. The teaser shows singer Manpreet singing, playing a guitar, and students in government schools studying in well-furnished classrooms and well-equipped laboratories. Rajinder Singh, spokesperson of education department, said the move was aimed at promoting Punjabi language and increasing enrollment in government schools. “A teacher in our department has written the song. Our children are a part of the shoot. We will release the full song in the coming week. It will be popularised through social media and others,” he said. The education department claims that in the past one year, at least 2,500 government schools in Punjab became ‘self made smart schools’ with colorful buildings, learning aids and other facilities that teachers managed on their own with community participation and help from NRIs.